Could Venice be set to break off from the city of LA in a 'Vexit'? Worldwide icon-chevron-right North America icon-chevron-right United States icon-chevron-right California icon-chevron-right Los Angeles icon-chevron-right Could Venice be set to break off from the city of LA in a 'Vexit'? 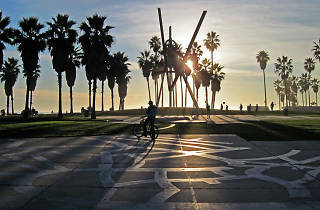 From 1905 to 1926 Venice was an autonomous, incorporated municipality. Now, a group of activists who feel disappointed with the services the neighborhood is getting from Los Angeles are considering going back to that by staging their own version of Brexit, titled, of course, Vexit. After several years rapid economic development, Curbed reports, some affluent residents think Venice should be sustainable without the rest of Los Angeles and that, by striking out on their own, residents could gain more local oversight in matters of law enforcement, sanitation and what to do with all the tax money being produced by the fast-growing Silicon Beach tech companies, booming Abbot Kinney retail and super-high property values. But the thing is, when it comes to that tax base, they don’t really know for sure. Because right now, all that revenue gets handed over to the county, where it goes into a big pool with every other area’s contributions, then that trickles through to the city, eventually making its way back to particular neighborhoods and projects. In that process, officials say they just aren’t keeping track of the stats on what percent comes from Venice versus anywhere else, and can’t say if they’re getting more or less services for their share of the pool. Knowing that piece of information would be pretty crucial to making an informed choice on a Vexit. 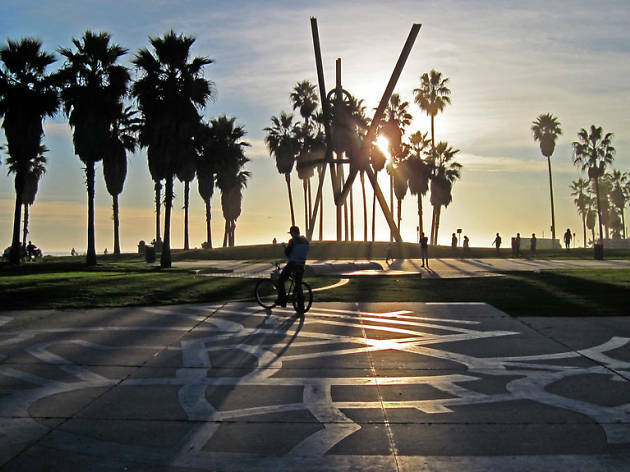 After all, going autonomous doesn’t just mean getting to keep a pile of extra cash—it also means taking on the responsibility of spending that money on all the city services that people in Venice currently get from LA. Schools, sanitation, infrastructure, beach maintenance and policing all have to come from somewhere, and it’s definitely not clear that Venice would get a better rate negotiating on their own versus being part of the larger unified Los Angeles. Even if they figured all that out, Vexit is still pretty unlikely. Other parts of the city have done their best before and it hasn’t worked out for them. Hollywood, the San Fernando Valley and a portion of San Pedro have all filed petitions within the last two decades and none have made it, failing either to pass the economic stress tests or passing the tests only to fail once the measure made it on public ballots. Since then, city laws have been updated to make it even trickier to get out of LA once you’re in. The idea of Venice going alone raises some pretty big questions about urban life: Do the wealthy residents of one neighborhood owe anything to the less-affluent people a few miles over? Is a city as a collection of parts all working together for the prosperity of everyone—or is more of an everyone-for-themselves mentality more realistic in a competition for limited resources? Let us know your thoughts in the comments section below. I don't think this will get much traction. In general though I think its will be a big problem if the unity of areas is broken. I know one day parts of Cali will separate from the mainland through erosion and I've seen science fiction shows that imagine a ''Republic of Hollywood'' etc. These ideas don't sound appealing to me. It would be a loss for the country as a whole to have a formerly incorporated landmass be its own separate government and agendas like a smaller Puerto Rico or Cuba.